It is difficult to gather my thoughts and feelings on the occasion of James Krenov’s passing away yesterday. His teachings mean so much to me as they do to so many woodworkers. 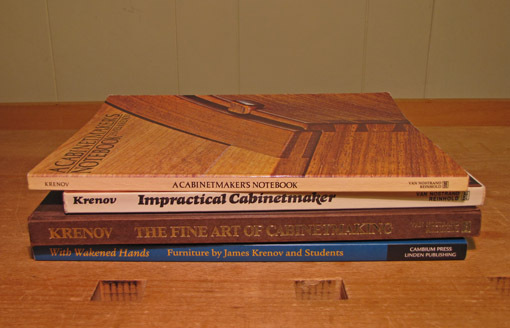 James Krenov was pivotal in my coming to embrace the understanding that making fine things from wood, imbued with a personal touch, mattered in this world. I have liked making things in wood since youth, knowing that this was part of me, but beset with the refrain that it might be little more than self-indulgent puttering. Jim Krenov’s clear and independent spirit, beautifully communicated through his writings and his work, gave me the support to see the value in what I was trying to do. So many times I go into the shop accompanied by Krenov’s voice, reminding me that the work is worth doing well because it can have meaning to me and to others, and creates a quiet joy that enriches our lives. It is about connecting with one’s soul and seeing the real value in the process and the product. I think that is truly happy woodworking. There is a beautiful and profound life that harbors in the wood we love. There is also a special life in the little objects we make. For me, as for so many woodworkers, an important part of that vitality comes from the enduring spiritual contribution of James Krenov. I am very grateful. Farewell JK, long live your spirit. Nice words to honor Krenov’s life and work as well as his impressions on you. With the passing of Krenov and Maloof this past year, woodworkers have lost two very influential and inspiring ambassadors of our craft. Their influence will be missed but not forgotten. Thanks, Mark. Their work and spirit will live on. Well said and well felt. 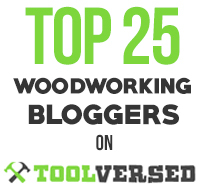 Rob, I didn’t know the man, but what imformation I did read helped me alo to understand wood working. Thank you. You’re welcome. There are so many of us out there who’ve been inspired by Krenov. Quiet joys will endure.